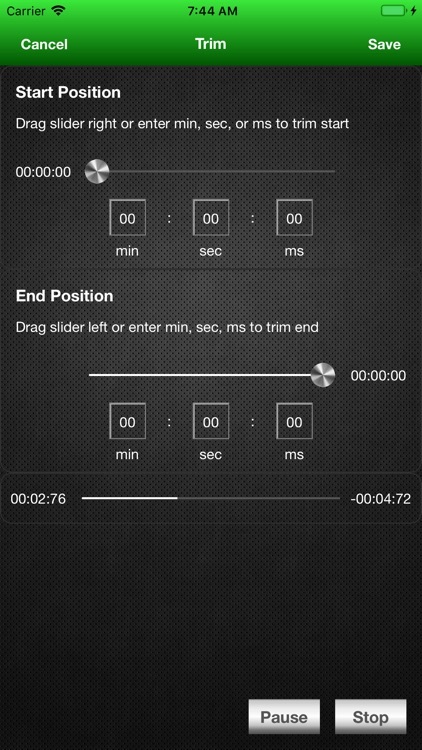 ScratchTones is a full-fledged DJ mixer for creating ringtones. 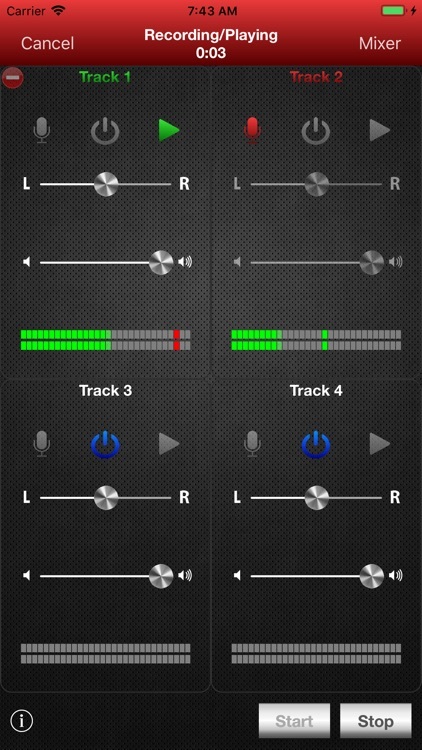 With multitrack support, you can set individual track volumes and balances in the app's recording studio and mixing board. 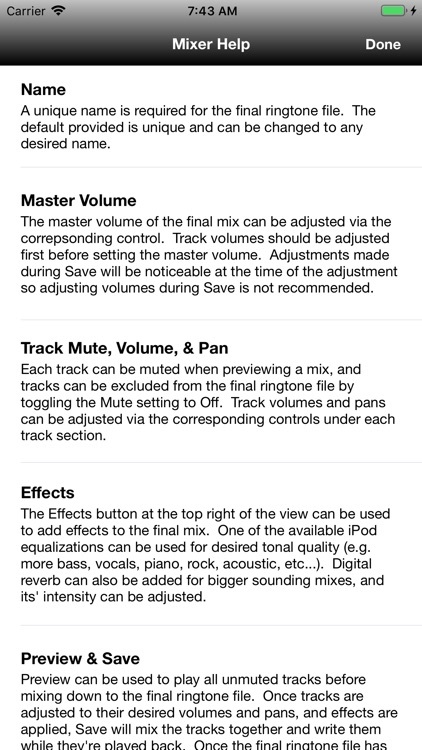 You can overdub additional tracks, and add special effects like reverb and equalizer settings. 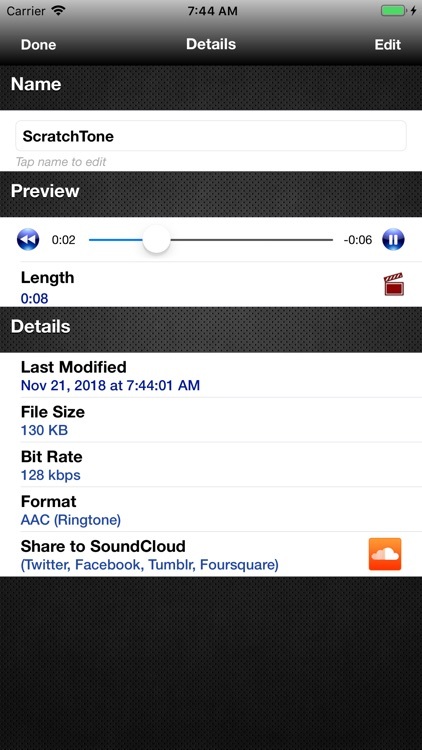 It allows you to upload your recordings to SoundCloud, Twitter, Facebook, Tumblr, and Foursquare. 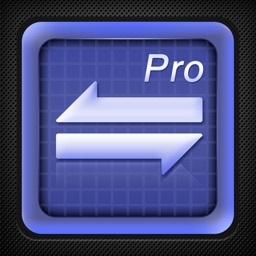 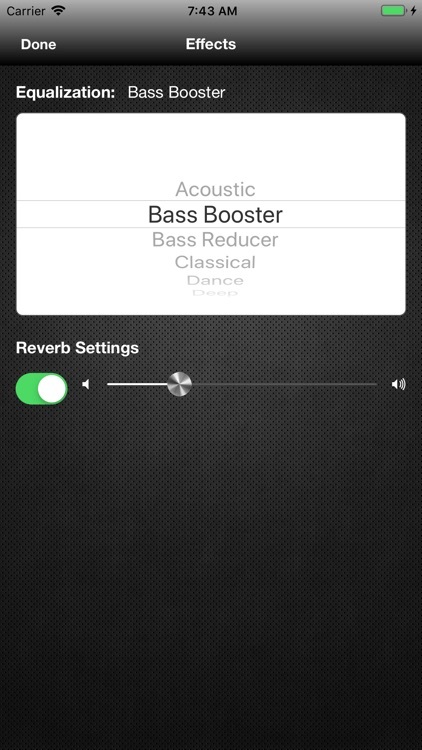 If you want a full-fledged recording studio for creating ringtones, this is it. 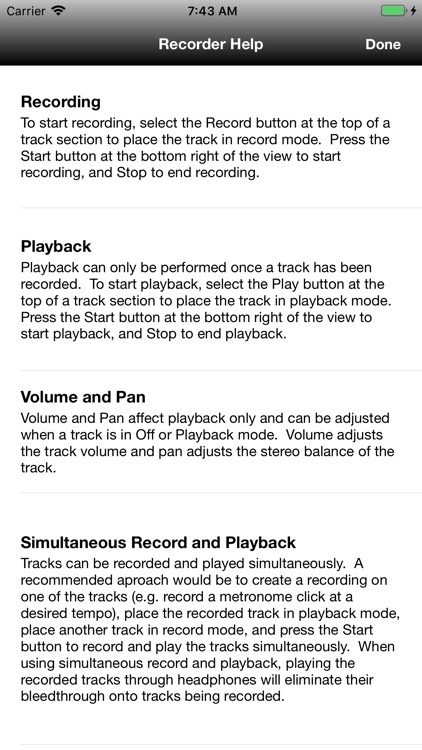 You can set up to four individual tracks, set the volumes for each of them, and mesh them together. 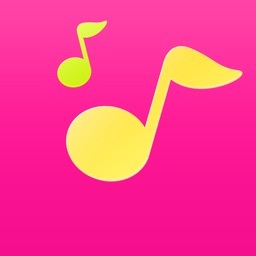 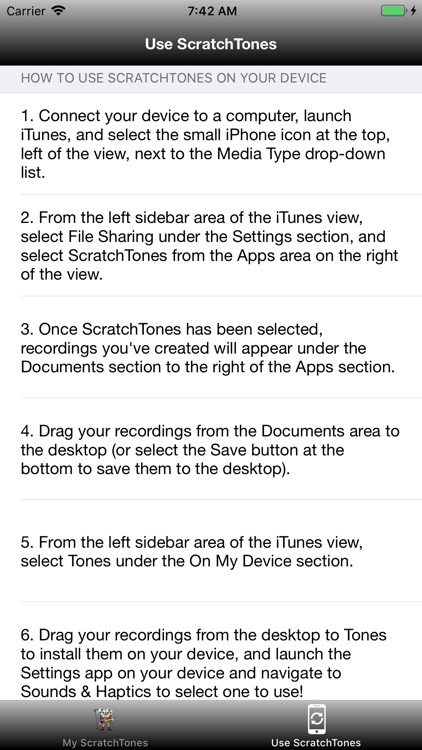 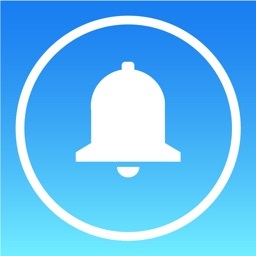 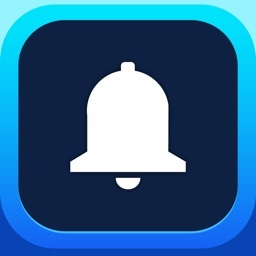 With ScratchTones, you can create some truly special ringtones quickly and easily. 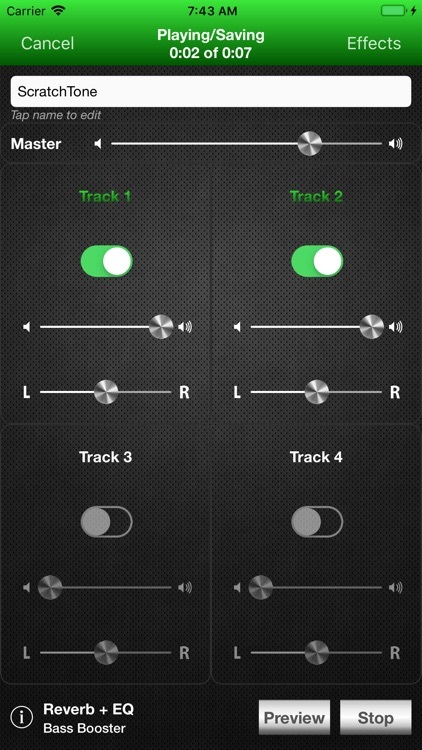 With individual track mutes, volume and balance control, and level indicators, you'll be laying down some mean tones in no time flat. 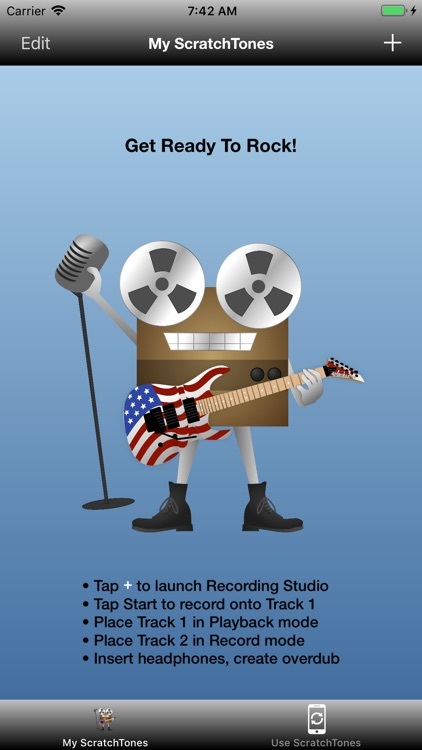 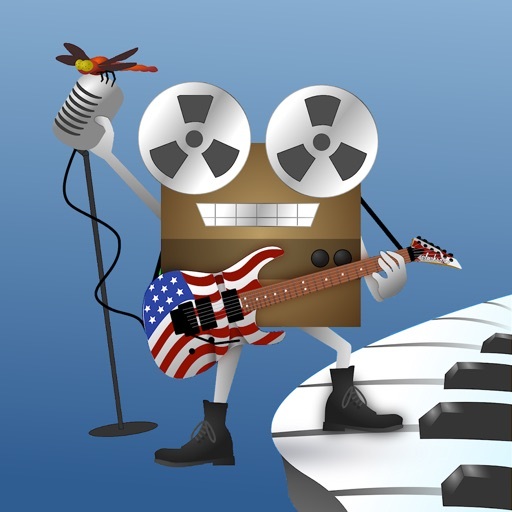 This app is a full-on recording studio for ringtones and text tones. 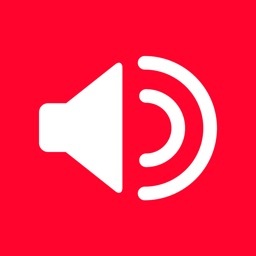 It's great to mix multiple tracks together and create something really unique and different. 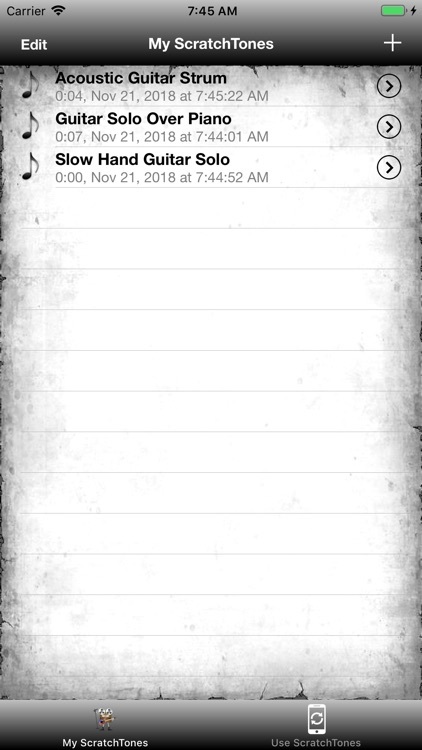 The ability to fade each track in and out and mix them together is really unique.